Originally published in 1973. The predominantly historical approach in this book heralds a belief that a better understanding of Aristotle the man, and the salient events of his life, leads to a greater insight into his work as a philosopher. 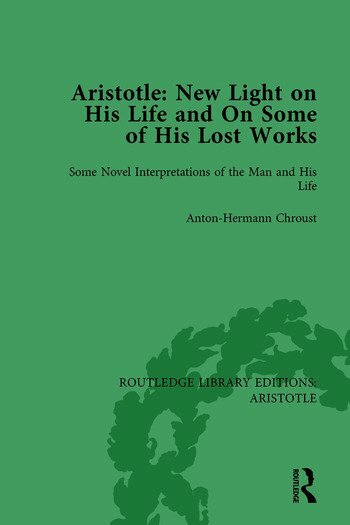 This, the first of two volumes, presents interpretations of Aristotle’s life, widely interesting to any Aristotle scholars.